The water table is a fun toy set for kids, especially during the hot summer days. Sand and water tables is a sensory feast for our young ones, and there are other benefits of letting them play with these sets. Having your kids stay cool by playing with their sand and water table is a great way to stave off heat while also nourishing their social skills, cognitive skills, and imagination. We will go into further detail about the water table’s benefits to young developing minds of children. For now, I would like to guide you into the best water tables available in the market today. This list is compiled by gathering overall customer ratings, first-hand experiences, and quality of the set. So, let’s have our kids splash around in these portable water parks. Step2 Spill and Splash Seaway Water Table is a cavalcade of fun regarding how it is designed for little tikes to play with. It is designed similar to what you will see in a water theme park. It copies the look of a tide pool and is comprised of two layers of pools; the upper and lower level. The upper-level pool simulates a waterfall that cascades down to the first level pool. The pool has a slant which allows children to play on various surfaces. Allowing them to utilize the varying degrees of elevation. The water table comes with an umbrella which helps protect your kids from the harmful UV rays of the sun when playing outside. The water table also comes with a variety of accessories to enhance their play experience. It has 3 water scoopers, a diving board, a catapult, 2 toy swimmers, 2 toy fishes, and a platform shaped like a starfish. You can also have your kids bring their water-resistant toys to play with here. As for specifics on this water table, it can be filled with up to 2.2 gallons of water. Two-tier pools for double the fun. Comes with several toy accessories. Comes with an umbrella to help protect your kids from the sun. The water table does not have a drain so you will be needing to flex those muscles after your kids are done playing. It doesn’t come with a protective dust cover. If you are looking for a water table that comes with a certain degree of familiarity for your children then why not get one based on the Finding Dory movie? As the name of this set suggests, this one comes with a Finding Dory theme complete with character toys from the film. This water table comes with its own Dory, Marlin, and Hank toys that can squirt water. The set also comes with a catapult that you can use to launch Dory and the gang into the pool. One feature that my kids liked about this one is the whirlpool feature located at the center of the water table. There’s a spinner the swirls the water around making for a unique and exciting water play time for the kids. One significant advantage of this is apparently the fact that it utilizes Finding Dory characters which, I would guess, is quite well-known with toddlers. I also found this water table to be quite sturdy and easy to clean and store away. The central propellers create a whirlpool at the center which creates a new level of fun for kids during playtime. Sturdy and balanced construction prevents any wobbling. A nice little tower slide for toys is also included in the set. The legs of the water table are not detachable. Make sure you have enough space for storage if you plan on getting this one. Want something simple and affordable for your kids to play with during summer? The Little Tikes Frog Pond Water Table has you covered. This water table perfectly captures that small pond look with its plastic lily pad accessories and a couple of cute round toy frogs as well. The water table requires little construction so setting it up can be done in a jiffy. The setup consists of larger lily pad platform located at the center that also acts as catapults. The water table also comes with a propeller to simulate water current but it is actually barely noticeable once your kids start splashing around. Please note that this one is strictly a water table and does not come with any platform to support sand. You will need to purchase a separate sandbox accessory for that. However, if your kids simply just want to play around with water then this would suffice. This water table can hold up to 7 gallons of water making it a pretty large water table but with an affordable price tag. The cute frog pond design and frog toys is a huge plus for me and the kids. Large enough to allow for more than one kid to play with it. It comes with several toy accessories to help enhance your kid’s playtime experience. The propeller simulates a lazy river setup which is a nice little touch. Affordable, easy to clean, and store away/set-up. The central lily pad platforms don’t do much, really. The Little Tikes Anchor’s Away Pirate Ship Water Table truly took its inspiration to heart. With a pirate theme going for it, this water table definitely went above and beyond in terms of design and accessories. The water table comes with a fun water cannon that kids can use to soak their playmates during playtime. You can also attach the iconic skull and crossbones flag which is a staple of pop culture pirates. The water table features a propeller that creates waves to simulate the high seas adventure. I also found the mast located at the center as a big plus in both aesthetics and for my kids’ enjoyment. Of course, they will need to make sure the top of the mast or crow’s nest is regularly filled with water to ensure the fountain continues to flow. The overall design of this water table replicates an actual ship as it also comes with a steering wheel and an anchor that your kids can operate via a lever. The set comes with several accessories like a cute squirting shark, a life preserver, 2 toy pirate figurines, a little boat, strainer, scooper, and a bucket. Pirate themed water table with a great and spot on design. Additional accessories like the steering wheel and anchor lever that you can actually operate is a nice touch. The water cannon can deliver hours upon hours of fun. Various accessories from water buckets to toy boats and pirate figurines help enhance playtime experience. There’s only one water cannon. I wish there were at least two so that my kids can play it at the same time. It would be a disservice to simply categorize this one as a water table as it comes complete with several playtime activities sets like a sandbox and a kitchen playset. Of course, this means that each play area here are relegated to portions of the set which means they don’t offer the level of immersion that water tables offer. The canopy that comes with this playset table is also a huge plus. As you can see, it covers the entirety of the interior which makes for a comfortable playtime experience for your kids when playing outdoors. This playhouse offers hours of fun for your kids as it delivers a variety of activities for them to hone their imagination and cognitive skills on. This is a spacious playhouse that offers more than one playtime activity. If your kid likes to jump around different games, this should tie them over for hours of fun and games with their friends. Delivers various fun activities and sensory play. A great and comfortable design makes it ideal for the outdoors. It is quite easy to set up despite its size. The open area design allows you to supervise your kids. The playhouse might need some extra anchoring if you live in an area that experience exceptionally strong winds from time to time. There are literally dozens to hundreds of water tables to choose from in the market. One of the criteria you should always check for is the manufacturer. It’s always in your best interest to look for a brand that is well-known for developing these types of products. This helps ease your mind when it comes to the features as well as the overall quality of the water table. The features included in the water table is a must for children who are still well within the developmental stage. 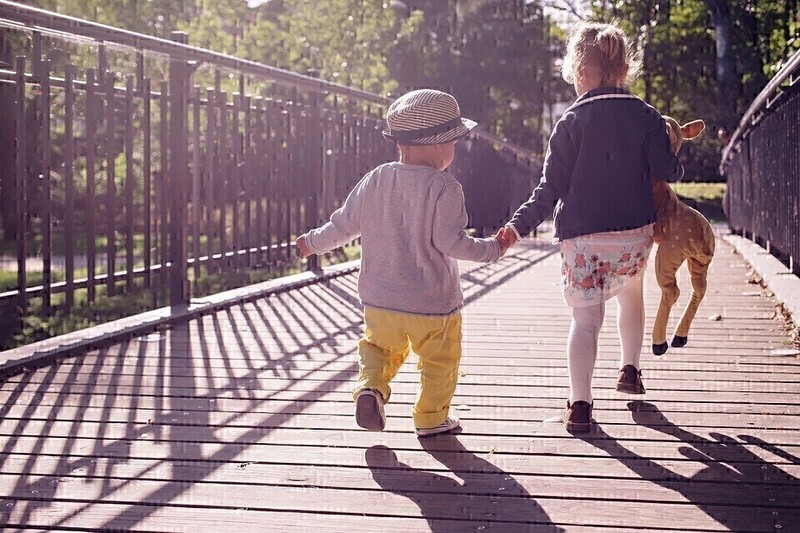 They need sensory stimulation, the playset needs to nurture their cognitive skills, and it should allow them to socialize with their playmates and promote a happy and friendly environment. Safety is another factor to consider, obviously. Water tables will be filled with gallons of water which makes these playsets considerably heavy. You have to make sure the structure can hold up to excess weight. It should be well-balanced to avoid it tipping over. Make sure the table legs are sturdy enough and if need be you should add additional anchors to the table. Lastly, I always check comments from verified purchasers. This will allow me to better grasp the specific qualities of these water tables. Maybe there are generally small downsides that are huge issues in your case. Checking testimonials from other buyers is a free and helpful way to decide whether to purchase the specific water table for your child or not. As I have stated earlier, there are several benefits our children can gain from playing with a water table. Other than it being extremely fun to play and splash around in water, water tables can also nourish our child’s problem-solving skills as well as teach them the basic physics of water and buoyancy. Certain water tables come with additional features and accessories like a catapult and a makeshift fountain. This allows children to further experiment with their imagination during playtime. Hand eye coordination is also one of the aspects that gains significant benefits. Operating levers, pouring water, and playing with water squirting toys help ready the child’s motor skills at a young age. For example, squeezing a water squirting toy helps develop the pincer grip of a child which is needed when holding a pen or pencil properly. This in turn helps ready them for school in the future. It also helps introduce the child to sensory experiences and differentiate between textures like slippery, slimy, and rough objects. They will also be introduced to temperature changes in the water, depending on the time of day they will play. Water tables are also designed so that more than one child gets to play at the same time. This can help cultivate and encourage their socialization skills with other children. You can use it to teach your child the importance of sharing and waiting for their turn with toys. Finally, I think everyone can agree that water is soothing. That’s why we enjoy taking a long bubble bath after a hard day’s work. Flowing water can help relax and calm the mind which is a benefit in itself, especially for children who needs to simply unwind. With all said and done, there’s one water table that I consider to be the best water table for kids. The Step2 Spill and Splash Seaway Water Table covers all the criteria that I have listed. It offers several activities to help sharpen the child’s sensory, cognitive skills, and imagination. It is sturdy with a nice aesthetics that is soothing to look at, it comes with a variety of fun accessories to enhance enjoyment, and it promotes friendliness with your kid and his or her playmates. 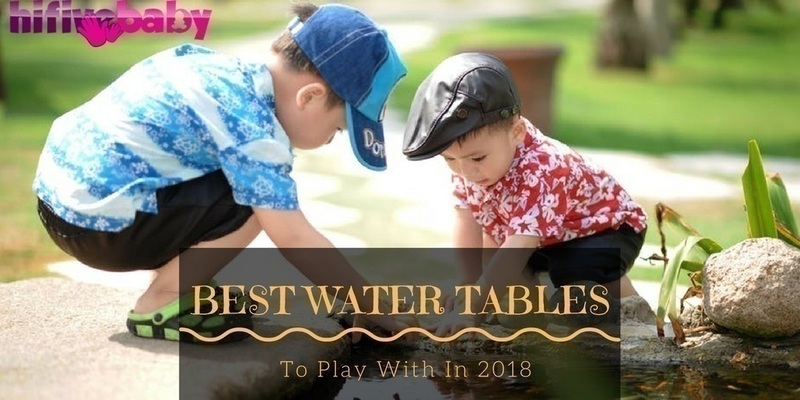 I hope this list helped you choose the best water table for your child. As 2018 starts to roll in, getting ready for the hot summer days is important. Getting your child something to play with and enjoy during summer is a must. What better way to help push away the heat than letting your kids play with a water table that you can set up at your front yard? If you have anything to add, please feel free to comment down below. Share this article with fellow parents who are looking for some fun home activities for their children to do this coming 2019 summer.